When Paul Gallico, the sports editor of the New York Daily News, pitched his publisher on an annual amateur boxing tournament during a meeting in 1926, few could have foreseen its outright success. Boxing tournaments, in some form or another, had existed for years, but they were largely isolated events tucked away from the broader public. The “Golden Gloves,” as Gallico suggested his be called, would change that with a simple tweak: it would it open its doors to total beginners. The inaugural finals took place on March 28, 1927, at Madison Square Garden, a tradition that would last eighty-five years. A roaring crowd of 21,594 showed up; roughly 10,000 more were turned away. The tournament was a smashing success. Soon, Chicago, unshackled from a decades-long ban on boxing, declared that it would host its own version of the Gloves. In the next year, 20,000 fans packed the Garden for the 1928 finals. And they did so again in the next. And the next. And so on and so forth. In time, the Gloves would transition from being a local phenomenon to becoming something of a national sporting touchstone. From Sugar Ray Robinson to Muhammad Ali, many of the greatest professional prizefighters came of age competing in the Gloves. In the 1976 finals, over 20,000 spectators flocked to the Garden to watch Howard Davis Jr., Gerry Cooney, Juan Laporte, and Davey Moore fight—and win—under the lights. In 1980, over 19,000 showed up to watch Mark Breland take home the first of five Golden Glove championships. 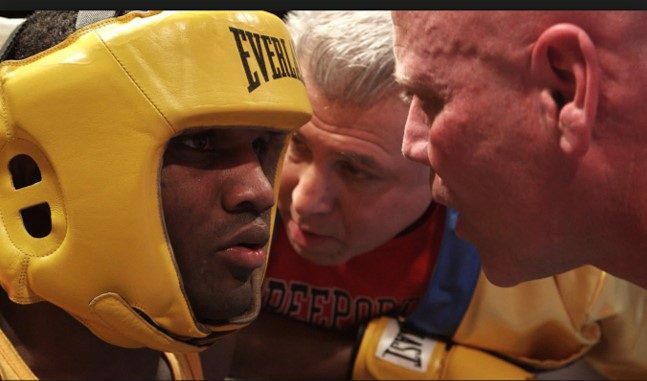 In Cradle of Champions, a new documentary, by first-time director Bartle Bull, that follows the lives of three New York City Golden Gloves hopefuls in 2015, the famed tournament appears in its eighty-eighth iteration. That it still exists today nearly a century after Gallico’s initial proposal is a testimony to its resilience; only the Olympics exceeds it in terms of longevity. And yet one does not have to look too hard to find that the Golden Gloves, like the sport itself, is a far cry from what it used to be. The finals, for one, no longer take place at the self-styled “World’s Most Famous Arena,” but across the East River, in Brooklyn at the Barclays Center. The crowds, which once turned up in droves for the finals from Gallico’s days to the mid-80s, are now unspeakably small, no more than the size of a large wedding or a bar mitzvah. (In fact, the tournament has almost no constituency outside of relatives and friends of the participating boxers.) Like every other legacy media outlet today, the Daily News, which continues to sponsor the tournament, struggles to stay afloat in the Digital Age and has seen its daily circulation drop to 200,000 from the more than two million it boasted in its heyday. And, of course, there is the unassailable fact that boxing, simply, is no longer a sport that most Americans much care for. For Rodriguez, a four-time Golden Glove champion looking to make it five, the challenge is in balancing her pugilistic aspirations—she hopes to make it to the Olympics one day—with her duties as a single mother and teacher of an after-school program. Her poise belies her years. Despite the drudgery of her material obligations, she maintains a radiant demeanor that earns the viewer’s admiration. Williams, a man of faith who exudes confidence and humility at the same time, hopes to turn back a lousy year that he had in 2014, after winning the tournament in 2013. He vows not to underestimate his opponents again. And Wilkins, a short-tempered youth and sometimes sparring partner of Williams, is most desperate to forge a different path for himself than those in his household. Raised by his grandmother with twenty-three other siblings under a single roof, Wilkins yearns to become “the first to say that ‘I made it’ in my family.” Wilkins apprehends the world with pent-up hostility, as exemplified by his frequent tantrums and one is indeed led to speculate where he would be today were it not for boxing. 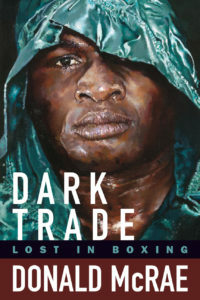 Such ordeals should ring familiar to anyone who has seen a boxing film, fiction or otherwise. But adopting these clichés does not make Cradle of Champions any less effective. The plight of the underdog, after all, is one reason that Hollywood continues to churn out boxing films year after year, even as the sport itself continues to recede from mainstream relevance. That Bull, a career journalist who specialized in covering the Middle East, commits to these well-trodden themes speaks resolutely to his belief in the fighters and their collective stories. There is plenty of fighting shown in the film as well. When Wilkins and Williams meet each other in the 132-pound finals, it seems almost too good to be true. Their wild tussle comprises the film’s blistering climax, which was shot as elaborately as a Hollywood production, with multiple cameras from various angles. That may be true, but boxing is mostly a thankless sport, and the absence of this harsh reality in Cradle of Champions is why, in some sense, it falls short of its predecessor, On the Ropes, the 1999 Oscar-nominated documentary that also depicts the lives of three Golden Glove hopefuls. In that film, one boxer is sent to jail after becoming caught up in a drug-dealing scheme, and another leaves his trainer only to get two-timed by an unscrupulous manager. In that film, the forlorn economic realities and repugnant figures from boxing’s professional underbelly all come to bear on the young fighters. That, sadly, is the side of the sport that predominates. One wishes there was more of that nuance in Cradle of Champions, however unsavory, if only because the difficult lives that these fighters are pursuing demands the utmost transparency.